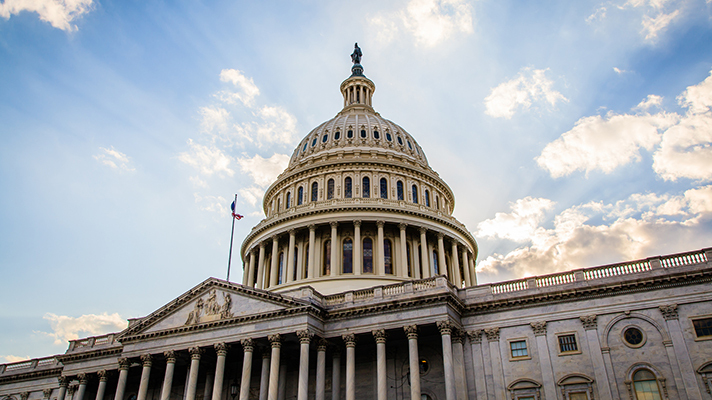 The landmark legislation would disburse nearly $8 billion to HHS, CMS, CDC and state governments, with big goals for population health, care coordination and patient safety. Senate Majority Leader Mitch McConnell, R-Kentucky, called the bill – drawn up using input from more than 70 senators and passed by 99-1 vote – a "landmark" piece of legislation meant to combat the nationwide opioid epidemic from all angles. The legislation comes amid an ongoing opioid crisis in the U.S. as policymakers and technology vendors are working to address the issue, while hospitals are piloting apps to find blindspots in prescription drug monitoring programs and using mobile technologies to write fewer prescriptions. It contains funding for stopping the flow of illegal opioids from other countries, and for supporting local programs for prevention, treatment and recovery. The bill also seeks to spur research and development of new non-addictive painkillers and stem "doctor shopping" by boosting prescription drug monitoring programs. It also has funds to give behavioral and mental health providers the tools they need to offer treatment and recovery – including potential electronic health record incentives – and for hospitals to better care for infants with neonatal abstinence syndrome. The legislation's sponsor, Senate HELP Committee Chairman Lamar Alexander, R-Tennessee, said he is working to combine the Senate bill and a similar House version passed in June "into an even stronger law to fight the nation’s worst public health crisis, and there is a bipartisan sense of urgency to send the bill to the President quickly." Call for the U.S. Department of Health and Human Services to "develop best practices for prominently displaying substance use treatment information in electronic health records, when requested by the patient." Enable the Centers for Medicare and Medicaid Services to test various models that "provide incentive payments to behavioral health providers for the adoption and use of certified electronic health record technology to improve the quality and coordination of care through the electronic documentation and exchange of health information." Require physicians to prescribe Part D-covered controlled substances electronically and direct CMS specify a list of exceptions and outline the penalty for failure to comply when the e-prescribing requirements. Require that prior authorizations related to Part D e-prescriptions use a standard format to improve the way the authorizations are processed. Provide support for states and localities to improve their Prescription Drug Monitoring Programs and "implement other evidence-based prevention strategies, encourages data sharing between states, and supports other prevention and research activities related to controlled substances." Reauthorize HHS's NASPER grant program, allowing states to "develop, maintain, or improve PDMPs and improve the interoperability of PDMPs with other states and with other health information technology." Authorize new program through the Substance Abuse and Mental Health Services Administration for the establishment of comprehensive opioid recovery centers. "These entities may utilize the ECHO model, which supports care coordination and services delivery through technology." Give support for states to collaborate on strategies to improve care substance-exposed infants, including the development and upgrades of new technology and monitoring systems to more effectively implement plans of safe care. Require CMS to set up an online portal to enhance communication between the agency, Medicare Advantage plans with prescription drug plans, stand-alone drug plans and Medicare Drug Integrity Contractors.